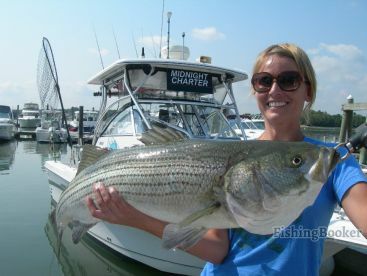 White Cape Charters offers a genuine New England angling experience in the local waters around Scituate, MA. 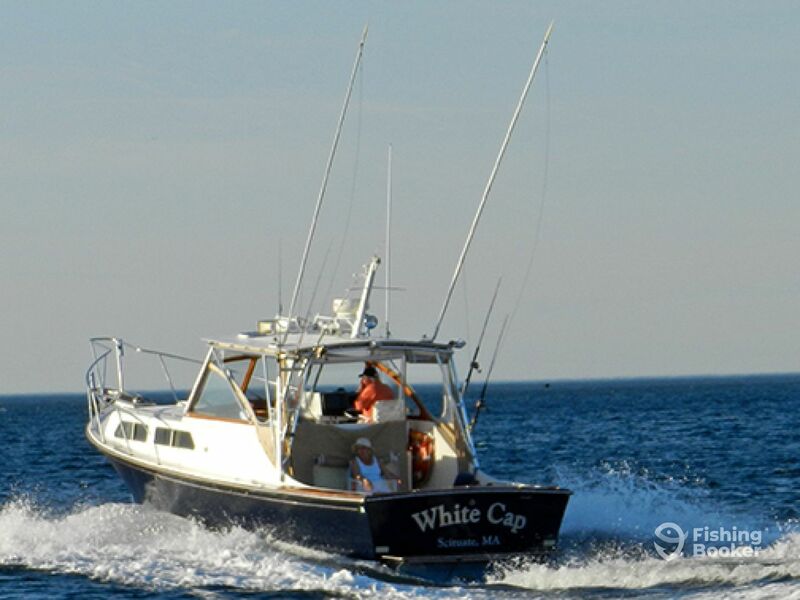 Climb aboard for a day of fun fishing in the beautiful Cape Cod Bay. Load up on tasty fish and have a blast doing so. Anglers of any age or experience level are welcome. 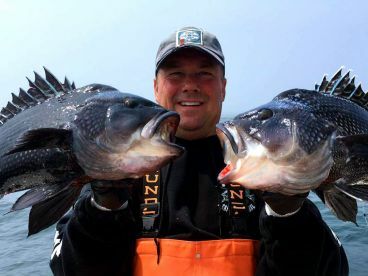 Let Captain Brad White build your perfect fishing charter! 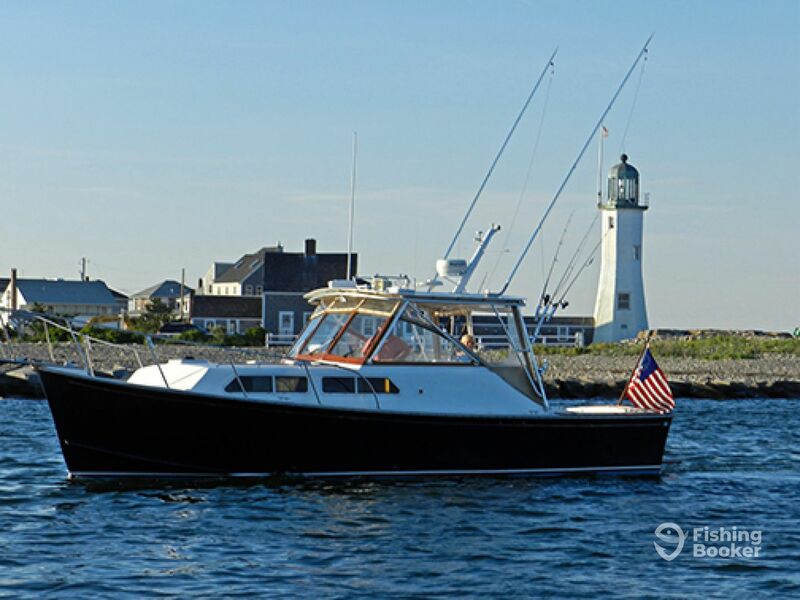 You’ll be spending the day fishing aboard the “White Cap,” a 33’ Fortier sportfisher. 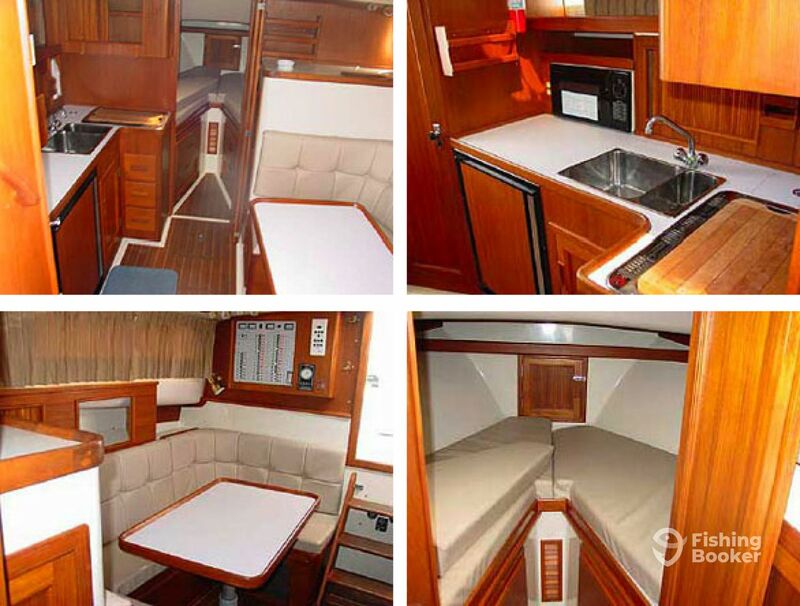 This rugged boat has everything you will need to hook up some monster fish. 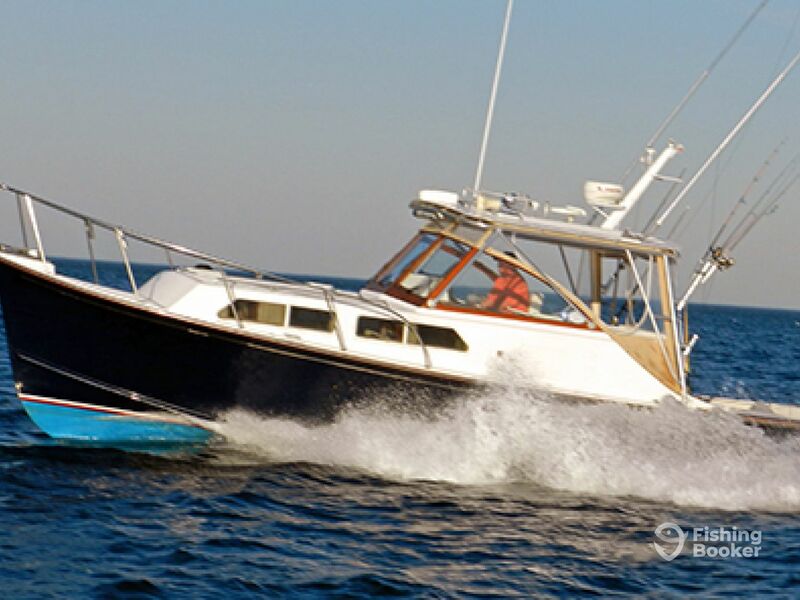 She comes equipped with modern electronics and navigational equipment to make sure you’re always fishing in the right place. She also has outriggers to put more lines in the water, meaning even more action! The White Cap is also a comfortable place to spend the day. Her spacious interior offers a cozy escape from the cold and even has a toilet for extra comfort and convenience during your time onboard. 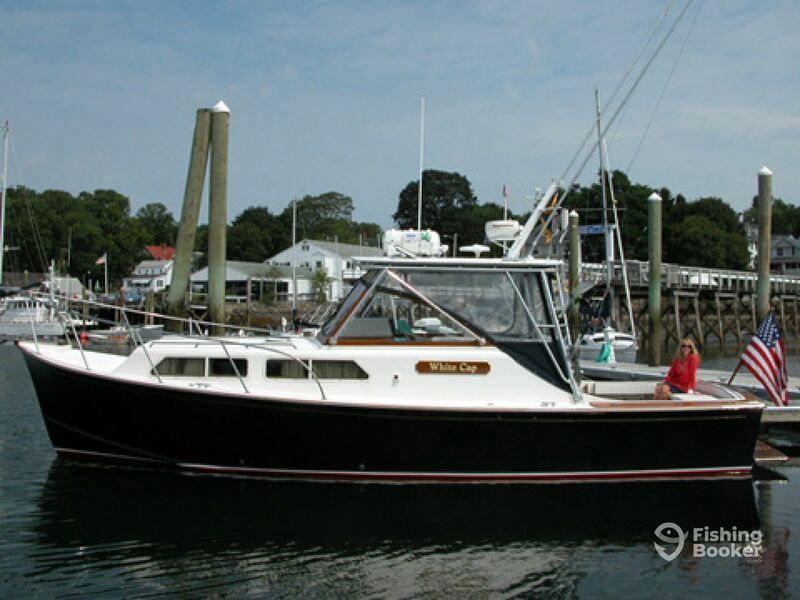 She can carry up to 6 guests on each trip, so get your group together and head down to the dock! 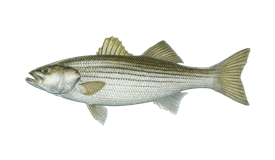 You will spend your trip reeling in Massachusetts’s famous Striped Bass. These inshore gamefish put up some serious fight as you bring them to the boat and they make for a great meal once you get them home. You’ll be supplied with everything you need to bring them in, as well as fishing licenses for your whole party and a cleaning and filleting service for all your fish. All that’s missing is you! 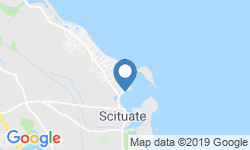 Spend the day fishing for Striped Bass in the local waters around Scituate on this exciting 6-hour trip. 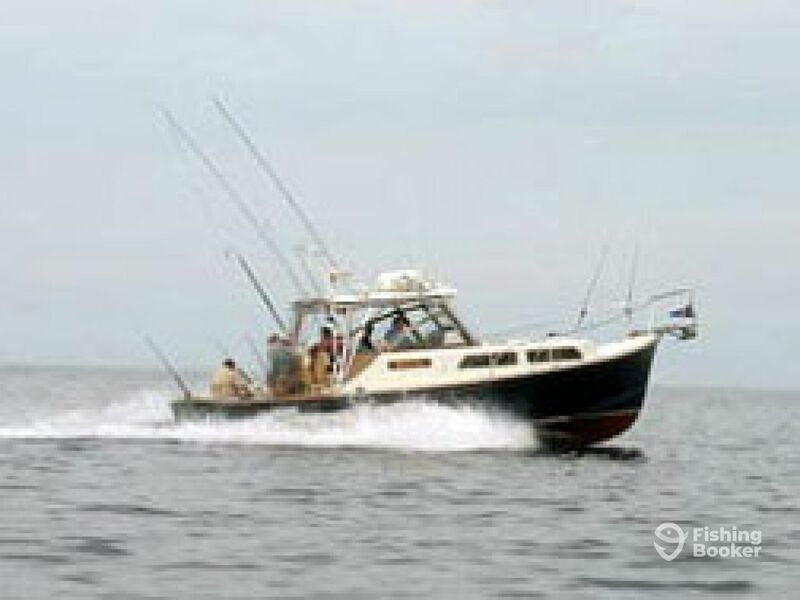 Fortier (Offshore sport fishing) построена в 1997. Мотор – 2 230 л.с. Volvo.